DRAMA is a media project which combines music, video and photography. The first introduction of the project created by Marco Monfardini has been with the presentation of “ The Gramophone Selection “ at the 59° edition of the International Venice Film Festival in the year 2000. The Gramophone Selection is a performance focused on the fusion of music from the past and sounds from technologic origins. The gramophone used live as a music instrument is integrated into a dj console. Scratchy records of “78 will be mixed with current records and digital audio files. The Gramophone Selection is the audiovisual performance developed by Drama’s personal interest and research for the original sounds which stand for the period of the 19th century. 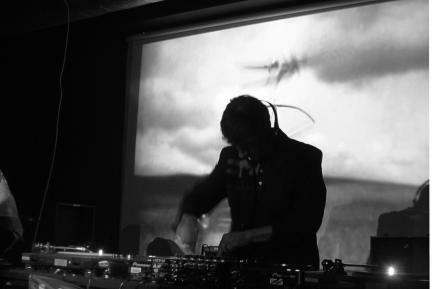 With his first gramophone acquisition, found on a flea market in Germany, he started to work on his live set with the idea to combine voices of historic memory as Salvador Dali, Jean Cocteau, Antonin Artaud with the present minimal and voiceless sound of 20th century. In many years of research on several flea markets, fairs and exhibitions in Europe Drama built up his collection of the “78 records for the gramophone. The live set of the Gramophone Selection will be completed with it’s visual “Dramascope” realized by the animation of historic photos and abstract images. A second processed and amplified version of The Gramophone Selection is presented in 2004 at the Festival Kulturama di Leuven in Belgium together with the updated visual Dramascope 2.0. The performance is touring in several cities in Belgium and then followed by the tour in Italy. Dramascope 3.0 reveals the study on emotions and suggestions caused through images coming from films and photos of the past in accordance with present sounds.The performance is an interaction from music and video and presented in 2006 at the festival of electronic music “Electronism” in Barcelona. In Dramascope 3.0 the sound assumes the function of a stimulator. Sound impulses give new live to old film and foto material in a sort of surreal somnambulism. Dramascope 3.0 is represented in the years 2007 and 2008 in several theaters, clubs and cultural centers in Europe. Marco Monfardini is presently preparing the new Dramascope 4.0. The central issue of this edition is the visual memory. Images enclosed in the human mind will be recalled and stimulated through the sound. A sort of virtual scanner of the memory interfaces with the numerical elaboration of the computer. Emotions, moments and instants will be decodified and interpreted in a surreal association between sound and image. THEMA is the audio video project of Stefano Raffaelli and Marco Monfardini, an artistic collaboration born in 2010 deriving from the common interest between the interaction of sound and video. The sound of THEMA is based on two fondamental components, the acoustic represented by the piano and the electronic focused on the research between audible and inaudible sound. The exchange of sound /image builds up the visual part of the project, video developing its proper form in the abstaction, fragments of images, forms and chromatics coexist in the relation of light/sound in the eternal trial to overpass the screen. SCHNITT is a project created in 2007 by Amelie Duchow and Marco Monfardini. 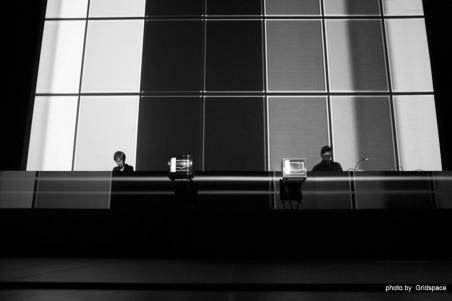 The artistic collaboration developed from the common interest for electronic music and visual art. The individual visions and styles from the 2 artists lead to SCHNITT in a unique form of expression. 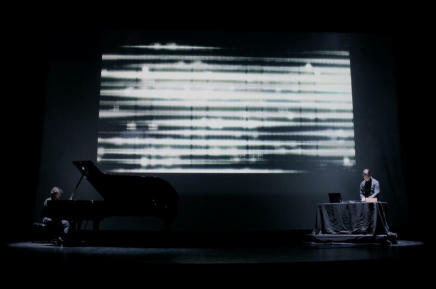 In 2007 SCHNITT presents SIZESPEC an audiovisual performance. The inspirations for this project arrive from the textile world from which SCHNITT extracts images and sounds of the industrial process. Combining the technical dynamics with the transformed elements of sound SIZESPEC transmits an individual and different view of this industry. 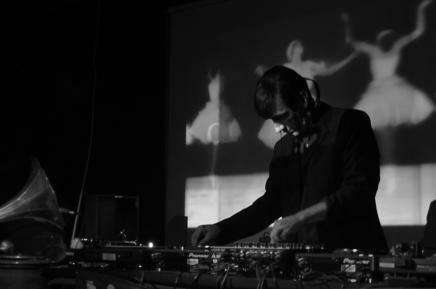 In 2007 SCHNITT releases their first record “Pferdchen” for the swiss label Invisible Recordings/IT’S, followed by the compilation “Snob Night” – CD (Video-Rai/Rai Trade) and at the compilation “Minimalismo Italiano” – CD (Registrazioni Italiane). In 2008 Amelie Duchow and Marco Monfardini collaborate on the realisation of Airloop 1.0 an installation and performance based on a videoloop of 40 minutes. 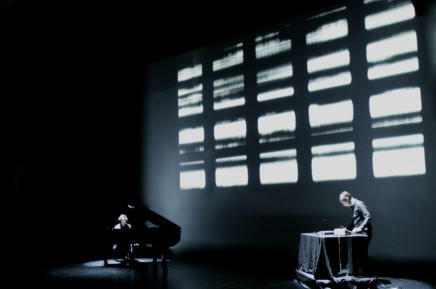 In 2010 Schnitt presents SYNCHROPATH an audio/video project focused on a synchronism as a method of composing. In 2011 SYNCHROPATH is released on DVD. With Synchropath, Schnitt participates at several international Festivals as the Elektra Festival in Montreal, the Gogbot Festival in Enschede and at the Robot Festival in Bologna. 2011 for the presentation of the lighting installation GROWING BY NUMBERS at the Grattacielo Pirelli in Milan, the duo Schnitt accompanies the event with a site specific sonorization. In behalf of their participation at the International Feel Festival in Florence 2013, Schnitt presents a limited edition release of the SYNCHROPATH LP. 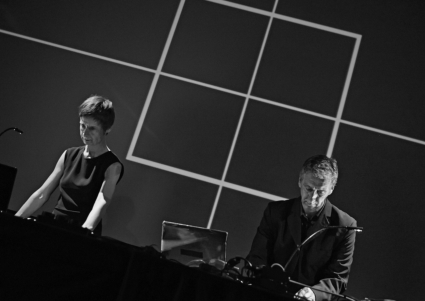 Schnitt presents in 2014 at the festival ephil in Germany the audio video performance MEMORY CODE, a project focusing on the visual memory.